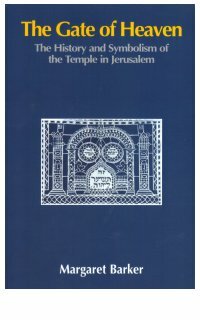 For over a thousand years the Temple in Jerusalem dominated both the city and its people. Yet although the first Christians were steeped in Temple myths and symbols, the implications of this for our understanding of Christian origins have scarcely been explored. The Gate of Heaven introduces a wealth of lesser known ancient texts and reveals how fundamental Christian beliefs such as the Incarnation and the Trinity had their roots in Temple imagery, how the Temple was the setting for all the apocalyptic writings of Judaism and Christianity, and how our understanding of the New Testament, early Christian writings and even familiar hymns can be enriched by an awareness of their original context. This is an important new book by one of the most exciting and innovative scholars of Christian origins. It challenges many of the prevailing assumptions of biblical scholarship and throws fresh light on the foundations of the Christian faith. "Her remarkable book… is essential reading for anyone concerned with the continuity [between the mythological foundations of the Old Testament and the Christian tradition], which plays a vital role in early Christian theology and spirituality."